Robert Pattinson is getting ready to allow ‘trampire’ Kristen Stewart an opportunity to grovel for forgiveness in person. That seems to be the case as the actor is said to have agreed to meet with his former love after a lengthy phone conversation. According to the media, Kristen has been using any means possible to beg and plead with Rob for just one more chance but until now, the crushed actor had no interest in even entertaining the idea. 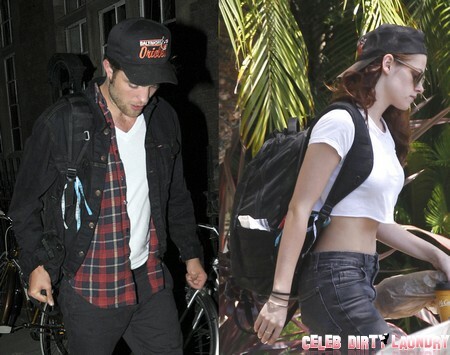 I have to wonder if it’s really sympathy that is drawing Rob towards Kristen. Isn’t it more likely to be anger? Don’t you think that now that the dust has settled he has a thing or two to say to her? Why on earth would he feel bad for the woman that fell asleep beside him after screwing their married former boss? I would imagine he is still disgusted by her and maybe meeting will give him closure. Do you think these two will meet to reconcile? 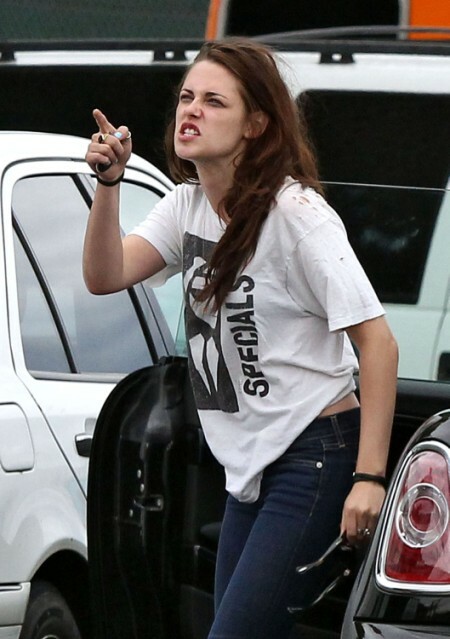 Would Rob take Kristen back after so publicly rallying against cheaters in the past? Tell us your thoughts in the comments below!